News TV Channel / Television Broadcasts Limited, commonly known as TVB, was founded as the first wireless commercial television station in Hong Kong. TVB runs five free-to-air television channels in Hong Kong, and is one of two free-to-air terrestrial television broadcasters in Hong Kong, and one of the largest commercial Chinese programme producers in the world. It commenced broadcasting on 19 November 1967. It has a staff of about 4,500. 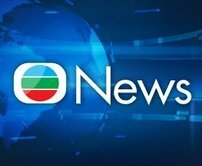 Its commercial rival for free-to-air terrestrial television broadcasts is Asia Television (ATV), whilst the government-owned Radio Television Hong Kong (RTHK) produces television programmes, but does not itself broadcast them.